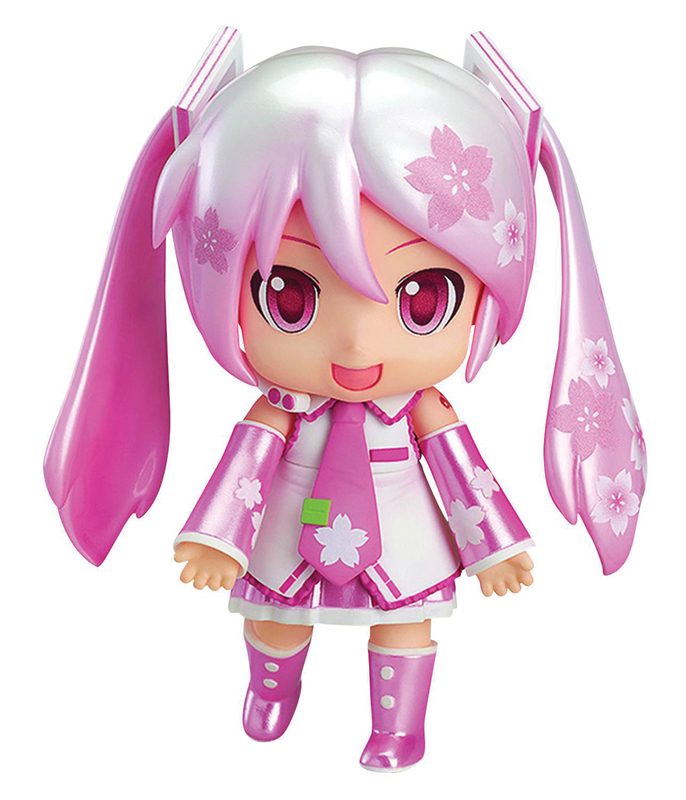 Originally created as an April Fools joke in 2013, the cherry blossomed themed version of Mikudayo, "Sakura Mikudayo" is now actually being released! 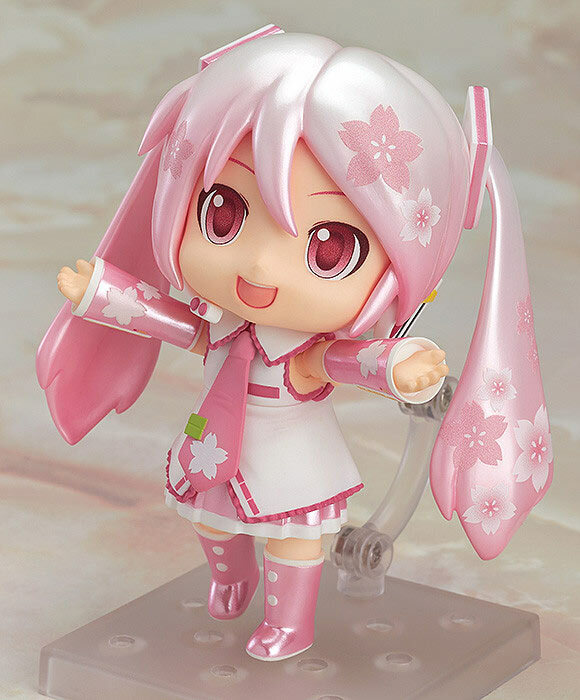 Her strangely thin twin-tails have been covered in cherry blossom patterns for a cuter look than ever before! Optional parts include three-color "hanami dango" for enjoying the cherry blossoms, as well as Mikudayo's favorite food - tuna sushi! 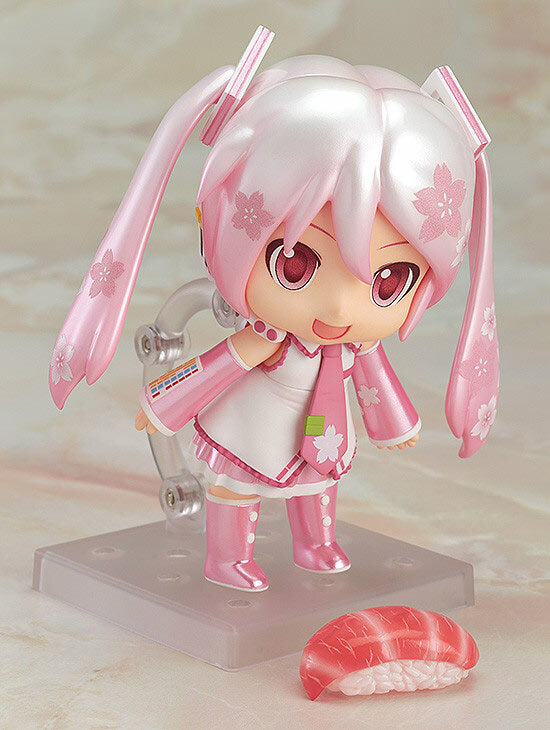 The incredible detail of the sushi that shares a pink color with the cherry blossoms has Mikudayo most pleased! 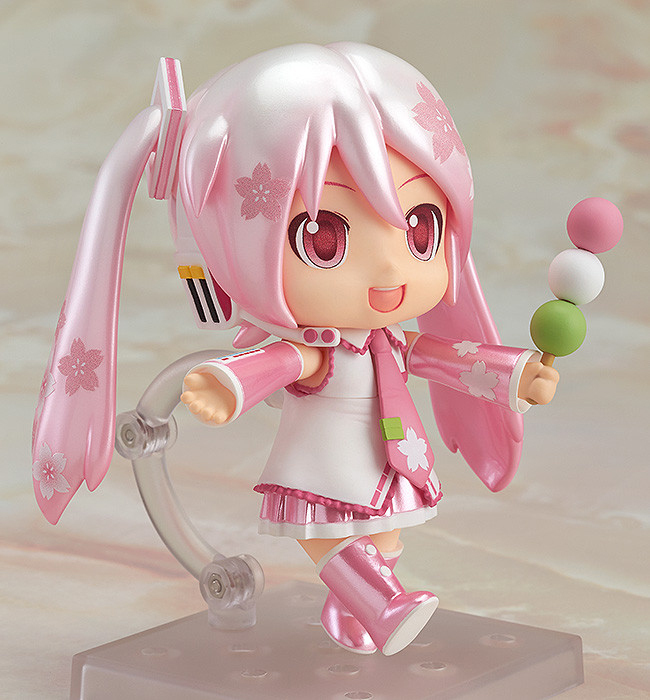 Be sure to add the late-blooming Sakura Mikudayo to your collection!